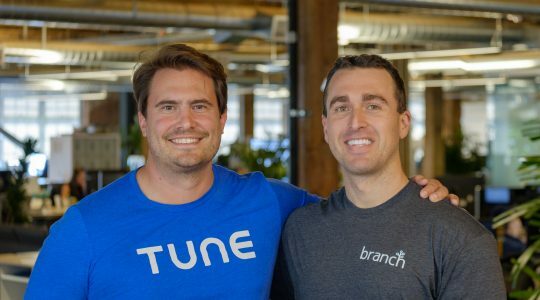 REDWOOD CITY, Calif., September 10, 2018 — Branch, the fastest growing cross-platform solution for links and measurement, is acquiring TUNE’s Attribution Analytics platform and team. The acquisition will combine Branch’s cross-platform deep linking and measurement with TUNE’s mobile attribution expertise to form the industry’s leading marketing and measurement platform. A leading provider of cross platform linking and measurement, Branch first made its mark as a solution for mobile deep linking, solving for the best customer experience across digital properties. Today, Branch supports more than 40,000 apps and 100 billion links across the web and apps. TUNE’s Attribution Analytics provides advanced mobile measurement to many of the world’s largest and best-known Fortune 100 organizations. The strategic acquisition by Branch of TUNE’s attribution business will provide a unified approach to creating and measuring cross-platform experiences that span today’s complex digital marketing ecosystem. Existing TUNE Attribution Analytics customers will continue to receive the same high level of service they have come to expect. TUNE’s measurement, attribution, fraud detection, reporting and all other services will continue uninterrupted, and will be integrated into Branch solutions. In addition, TUNE customers gain access to Branch’s powerful mobile marketing and deep linking platform, as well as gain a clear path of access to Facebook measurement through Branch’s recently announced Facebook Mobile Measurement Partner status. Branch provides the leading cross-platform linking and attribution platform with solutions that unify user experience and measurement across different devices, platforms, and channels. Branch powers deep links for over 3 billion monthly users across the globe, and is a trusted cross-platform marketing, engagement and measurement solution for over 40,000 apps — including Airbnb, Pinterest, Audible, Tinder, Reddit, Buzzfeed, Twitch, OfferUp, Groupon, Poshmark and many more. TUNE helps performance marketers maximize their ROI through powerful measurement and partner management solutions. Our performance marketing solutions are trusted by the world’s biggest brands, ad networks, and ad platforms to tie marketing investments to measurable outcomes. HasOffers by TUNE is the first and most widely adopted SaaS platform for performance marketing partnerships. TUNE solutions are used by Expedia, CVS, Subway, The New York Times, Line Corporation, Baidu Inc., WeQ and AppLift. To learn more, visit www.tune.com.